Home Mental Health First Aid Blog Is Addiction a Choice? Science has confirmed that addiction is a chronic brain disease that can happen to anyone. Despite this, there is still popular belief that addiction is the result of weak character or moral failing. We say that addiction should be looked at in the same way that we view other chronic diseases like diabetes, hypertension and cancer. If this is true, why are those diseases are not regarded with stigma and shame in the way addiction is? Well, addiction is a bit more complicated. Addiction is a disease that not only affects the physical body, but also crushes the soul. “Feeding the disease” requires a preoccupation with obtaining and consuming substances. This is often accompanied by deceitful and irresponsible behavior, taking a toll on relationships, family commitments and work duties. It is easy to blame the individual for bad behavior – lying, cheating and stealing, as well as angry outbursts – rather than putting the focus on the disease that creates those behaviors. The addicted person is generally not proud of those behaviors. Being shunned by family, friends and society only contributes to greater shame and self-blame. It is difficult to have compassion for people when presumed poor character is confused with the disease characteristics that undermine it. This is manifested in a prevailing attitude that labels people and withholds help to “bad people who are undeserving.” Compounding this is the common belief that people choose to become addicted, based on weakness, lack of will power and poor judgment. Again, looking beyond myth, science informs us that there is a genetic predisposition for addiction, as well as a range of environmental factors, especially those that occur in early childhood. As a person in long-term recovery, I know plenty about how genetics and environment affect addiction. My nuclear and extended family is a vast network of heavy drinkers and drug users and many family members have suffered medical, legal and instrumental consequences as a result of their substance use and addiction. Because of this family tree, I always say that I came by addiction honestly. Through a practice of self-reflection in early recovery, I started to explore some of the bad things had happened to me in my childhood. Through these discoveries, I learned terms and concepts like trauma and resiliency. When I assessed myself on the Adverse Childhood Experiences (ACEs) scale, my high score indicated a direct connection with addiction. I also learned that trauma affects brain chemistry in a similar way as substances. Further, trauma contributes to mental illness, with individuals often demonstrating symptoms of depression and anxiety and self-medicating with alcohol and other drugs. Through my work, I have connected with thousands of people in recovery from addiction. Listening to their stories, I am always struck by a common thread of trauma experience, exacerbated with symptoms of mental illness. When we approach trauma, we have learned to shift from “What’s wrong with you?” to asking, “What happened to you?” Why can’t we adopt the same approach with addiction? Doing anything less will continue the cycle of blame, shame and punishment that contributes both to isolation and people feeling bad about themselves. If we are committed to promoting recovery and really want to help people heal and get better, we need to make a radical shift in the way we regard substance use and addiction. Understanding that addiction is not anyone’s fault is a good step in this direction. 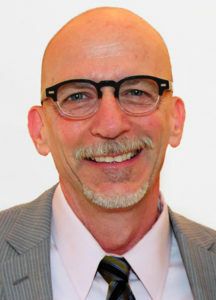 Tom Hill is Vice President of Practice Improvement at the National Council for Behavioral Health.